You'll explore the less-touristy side of things at Ile Saint-Louis and Champagne Alain Mercier et Fils. Do your shopping at Saint Germain des Pres Quarter and Berthillon. 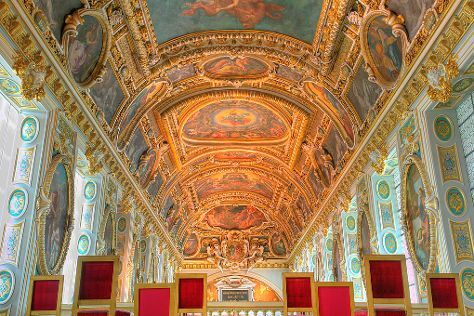 Change things up with these side-trips from Paris: Chateau de Fontainebleau (in Fontainebleau), Chartres Cathedral (in Chartres) and Chateau of Coucy (in Coucy-le-Chateau-Auffrique). The adventure continues: identify plant and animal life at Le Bois des Aigles, explore the world behind art at Musée des impressionnismes Giverny, wander the streets of Trocadero, and take in the architecture and atmosphere at Cathédrale Saint-Gervais-et-Saint-Protais de Soissons. For reviews, other places to visit, and other tourist information, refer to the Paris holiday planner. If you are flying in from Poland, the closest major airports are Paris-Orly Airport, Charles de Gaulle International Airport and Paris Beauvais Tillé Airport. Expect a daytime high around 28°C in August, and nighttime lows around 16°C. Cap off your sightseeing on the 7th (Mon) early enough to travel back home.